The original masonry anchor that cuts its own threads into concrete, brick, or block. Fast installation ... drill a hole ... drive an anchor. Compatible for use in ACQ treated wood. Concrete Lag Shield Anchors are designed for anchoring into concrete, brick and block. Lead shields are metal anchors for use on masonary, or concrete. 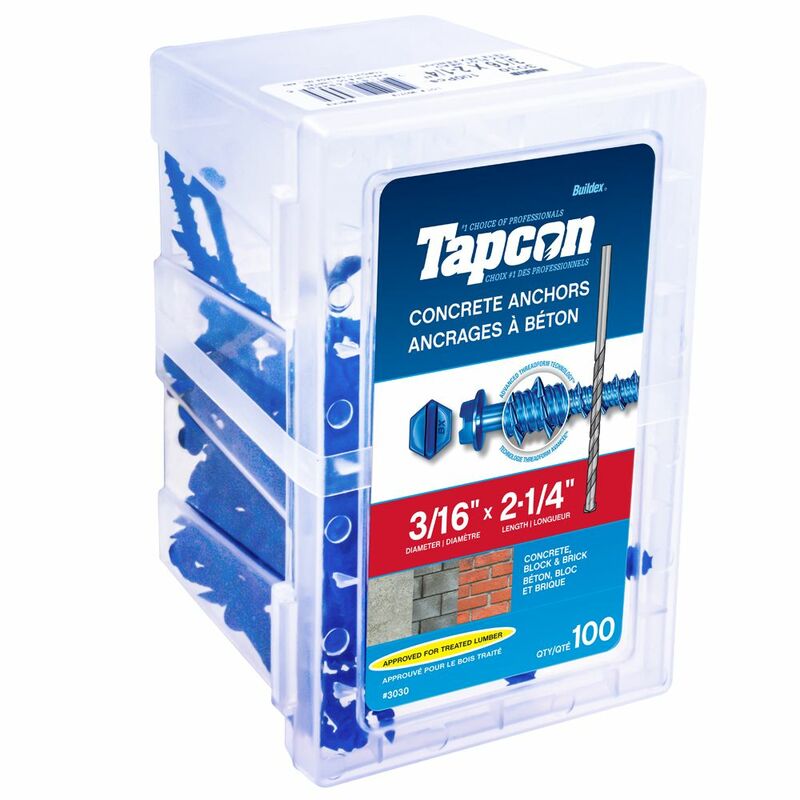 3/16 X 2 1/4 Hex Tapcon Concrete Anchor The original masonry anchor that cuts its own threads into concrete, brick, or block.